Because the most important scientific discovery of this century deserves a font worthy of its stature. Or something like that. 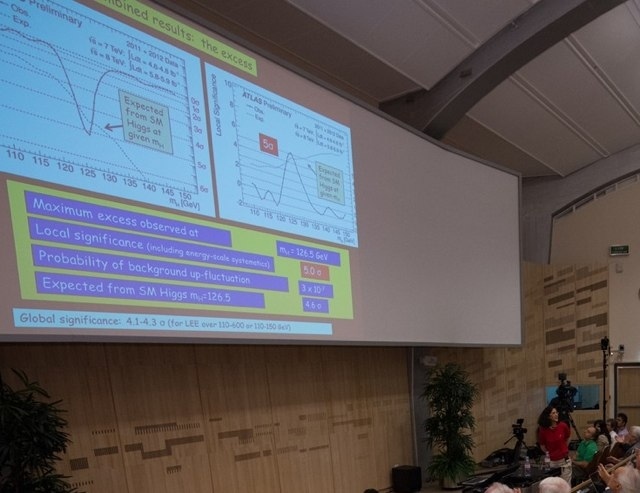 Hilariously, some of CERN's presentation slides announcing the discovery of the Higgs boson particle were written in Comic Sans, the internet's most hated font. The presentation from July 4th's God Particle announcement looked like this. Here's the screen from another angle. This is what you saw if you followed along with the webcast. The clip art is a nice touch, isn't it?